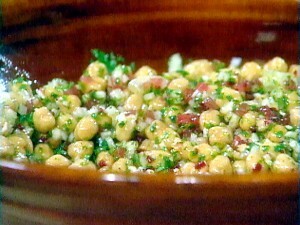 Chick Peas And Paneer Salad recipe by Nazia Nazar at DesiRecipes.com. Mix chick peas with paneer, pomegranate and all the vegetables. Prepare a dressing by combining chili powder, chaat masala, salt , lime juice, and oil. Toss the chick peas mixture with the dressing. Sprinkle mint and coriander leaves on top. I don't think so u should use chilli powder n sunflower oil, use black pepper n extra vergin olive oil it's healthy too .